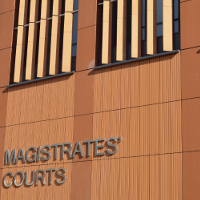 On Thursday 6 September, at Woolwich Crown Court, Kazeem Oladimeji of Bromley pleaded guilty to an offence under the Fraud Act 2006 of fraud by false representation while working in the security industry. Oladimeji was jailed for five months and fined £115 for gaining employment using fraudulent documentation. He has been in custody since 15 August 2018 following his appearance at Bromley Magistrates’ Court. Oladimeji’s conviction followed an investigation by the SIA, which stemmed from a report by a former SIA licence holder that his identity may have been compromised. SIA Investigators established Oladimeji adopted another’s identity and obtained a false passport to enable him to gain employment. He undertook a licence renewal, altering or replacing the issued licence to show his own photograph. Oladimeji was formally interviewed and admitted that he had used false identification documents, including obtaining a passport in the victim’s name. During the interview, he also admitted to working illegally as a security guard at a supermarket in South London. The SIA investigation was taken on by the Metropolitan Police Service due to uncertainty regarding Oladimeji’s true identity and immigration status in the UK. “Kazeem Oladimeji sought work in the security industry but in all probability did not qualify with our standards to achieve a licence. He, therefore, committed identity fraud in order to gain a job in the private security industry. The gravity of his offence is reflected in his sentence of five months in prison.